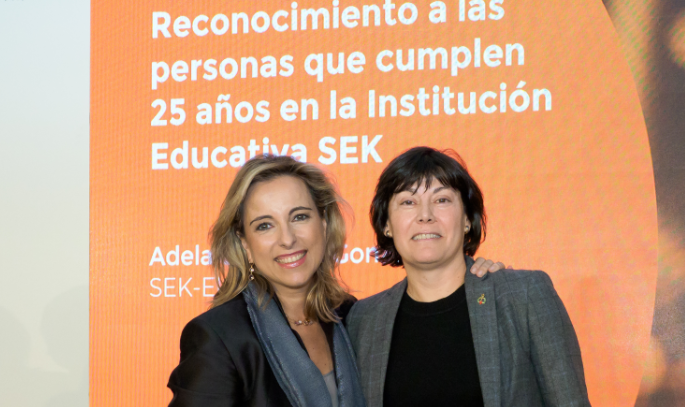 SEK Day was held on 16 November, and among those professionals receiving an award to mark 25 years at SEK Education Group was Adela González, a teacher at SEK-El Castillo and former student of SEK-Arturo Soria and SEK-Ciudalcampo. We wanted to talk to her and find out about her time at school, both as a student and as a teacher and her 44 years at SEK Education Group. You were at SEK-Ciudalcampo up to COU, what class are you? I did COU in the 1987-88 academic year. What was it like to go back to school as a teacher? Some of my teachers became colleagues, and it was strange to address them by their first name since they had always been Don Marcelino or Doña María José to me. But in any case, it always felt a little like a homecoming, even if it was a different school to where I had studied. 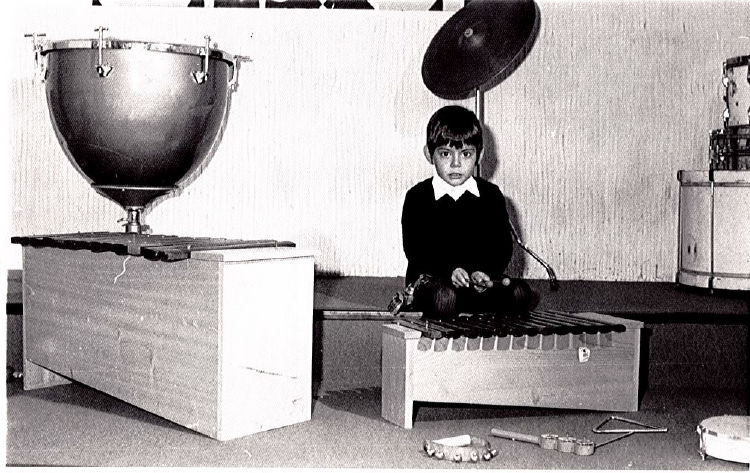 How has the school changed in the time you have been here? 25 years ago the spaces were completely different and progress in this sense has been tremendous. The Intelligent Classroom was launched, the walls disappeared and technology began to emerge and with it new forms of teaching. Evolution and change have always been SEK hallmarks in its constant pursuit of excellence. What has never changed is the concern for our students and the attempt to always get the best out of each of them. Did your time at school influence your time as a teacher? Undoubtedly, since I have always tried to transmit the SEK style my teachers taught me since I was very young to my students. At the last SEK Day you were recognised for your 25 years working at SEK, what were these past 25 years working at SEK-El Castillo like? The truth is that they have gone past very quickly, it seems incredible that I have been there so long. They have been intense years with professional challenges that I have always tried to tackle with the same enthusiasm as the first day. Lastly, I would like to make special mention of Mr. José Luis Rodríguez, who always gave me good advice with great affection and Father Ángel, my religion teacher and priest who gave me the first communion, confirmed me, married me and baptised my son in the school chapel. Both will always occupy a special place in my heart.